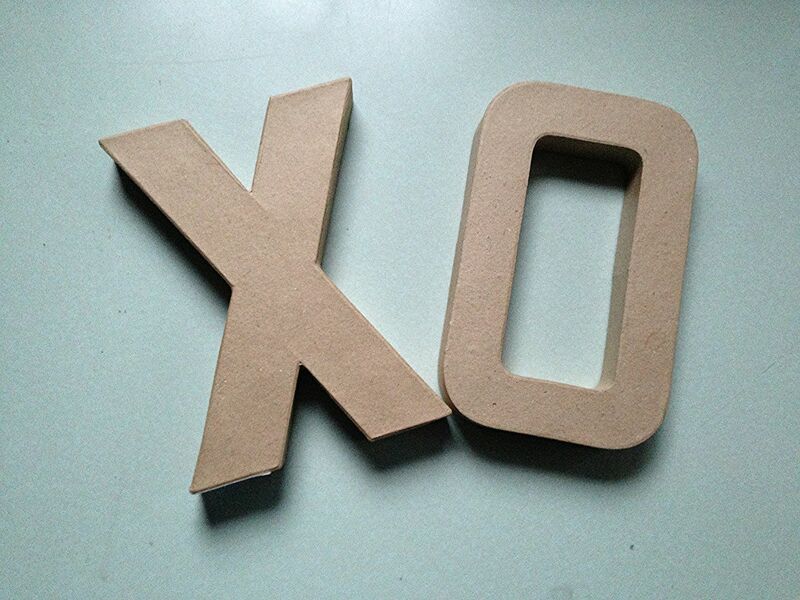 Looking for a quick & easy way to make some Valentine’s Day décor? I’ve got the project for you! 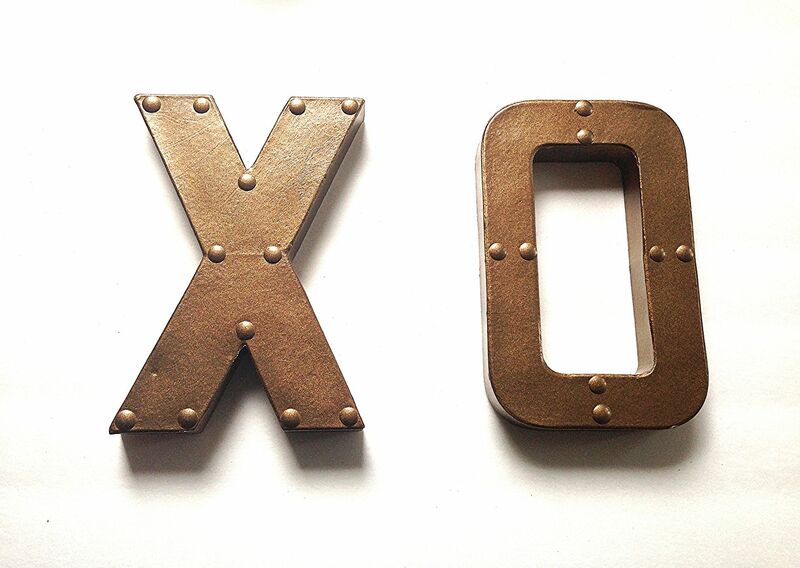 These industrial inspired X & O take about 30 minutes total (including 2 coats of paint drying time). I picked up a cardboard X & O from the craft store, pushed a couple of pushpins into the letters where I thought rivets might go. Gray had used this bronze paint for a school project and I loved the color. I couldn’t wait to have a project of my own to use it on! Bronze seemed to go perfectly with the look I was going for. 2 coats later my bronzed beauties are finished! They kind of remind me of my NOEL wall art from Christmas. Want to see where they are in my home!?! I’m always curious to see how people actually display their crafts in their homes! 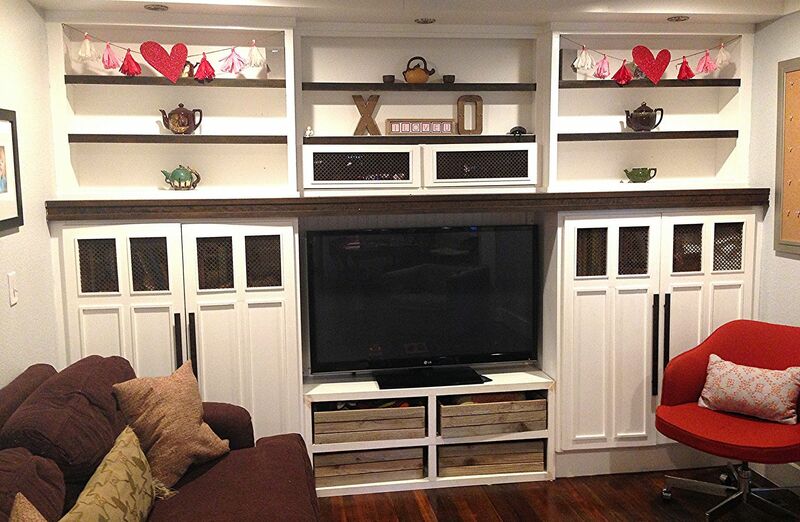 We built in this huge mantle with shelves and cabinets around our TV several years ago. I love the look of the white cabinets and doors with the dark metal and wood. The TV room is open to my craft area (the creative messes I make aren’t such a pretty sight to see from the TV room), our dining area, & kitchen. Needless to say, we spend a lot of time looking at this room. I love to add splashes of Valentines-ie fun here and there throughout the house without going over board and driving all the boys in our house crazy. This year I went for a cleaner look and didn’t actually put anything directly on the “mantle”. What do you think? Too much, too little, just right? To start I put my I LOVE U blocks on the lower center shelf. I added an industrial inspired X & O next to the blocks. I hung my tissue paper tassel & heart garlands on the two outer shelves. You could easily make both the industrial inspired X&O and the tissue paper tassel & heart garland during naptime one day and have a room decorated for Valentine’s Day! Can you guess what big ticket furniture item I am saving up for!?! Our old purple couch has certainly seen better days! Go here if you want to see where I might be linked up! These look really cool, very much like metal. Thanks for sharing. Your mantle bookshelves and cabinets so pretty…I love the cabinet doors..so different from everyone else’s. Great look. The X and O turned out perfect, they look like metal. Love your creativity. Thanks SO much Karin! I wish that I had captured the build but this was pre blog so I only have the befores and afters, nothing in-between. I’m sharing the befores today, you’ll have to check those out. The room looks SO different!! I love the way these turned out! They don’t look like paper mache at all! I would love if you came and linked up at The Makers link party going on over on my blog. So super cute!! Love the industrial inspiration. I love these! The industrial look is so cool and I love that they’re Valentine-y without being pink or red. Thanks for sharing your project at the Inspiration Gallery link party! These are super cute! Coming over from TT&J. What a great idea…perfect for a masculine room, too. I just made these for a gift but used my friends initial. I painted them with Silver metallic paint and rubbed on and off some black glaze to age it. I found brushed silver upholstery tacks! They are so cute! Thanks for the inspiration!